Open Invited Tracks and Invited Sessions / 100 Tracks and Sessions ! Participants of the 9th IFAC Conference MIM 2019 are advised to book rooms at the Park Inn by Radisson Berlin Alexanderplatz hotel. From 27 to 31 August 2019, a number of rooms have been reserved and can be booked at special conference rates. The hotel is located in the city centre at Berlin’s Alexanderplatz. From the hotel, the conference venue is easily accessible by public transport. The location of the conference banquet is within walking distance from the hotel. In order for special conference rates to apply, please mention the keyword “MIM2019” when you contact the hotel. Rooms must be booked by March 31, 2019 at the latest. However, due to limited capacities we encourage you to reserve well in advance. Free cancellation will be possible until 14 days prior to arrival. From the Underground Metro (U-Bahn) Station Alexanderplatz, take the U5 line towards Hönow, exiting at Friedrichsfelde Station. From there, an approx.. 12 min walk. The Lichtenberg Campus of the Berlin School of Economics and Law (BSEL) is part of the education and administration complex in Friedrichsfelde (BVZ). The buildings 1, 5, 6b and 6c house several departments and institutes of the Berlin School of Economics and Law. The campus also has its own library and data centre. 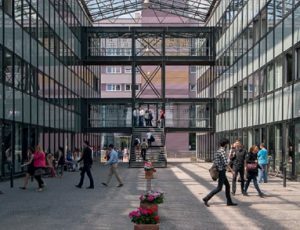 In 1994, the education and administration centre opened a new auditorium complex (dubbed the „Fischbauch“) to provide modern teaching and learning facilities for around 4000 students. The Lichtenberg Campus is at the end of the Alfred-Kowalke-Strasse. 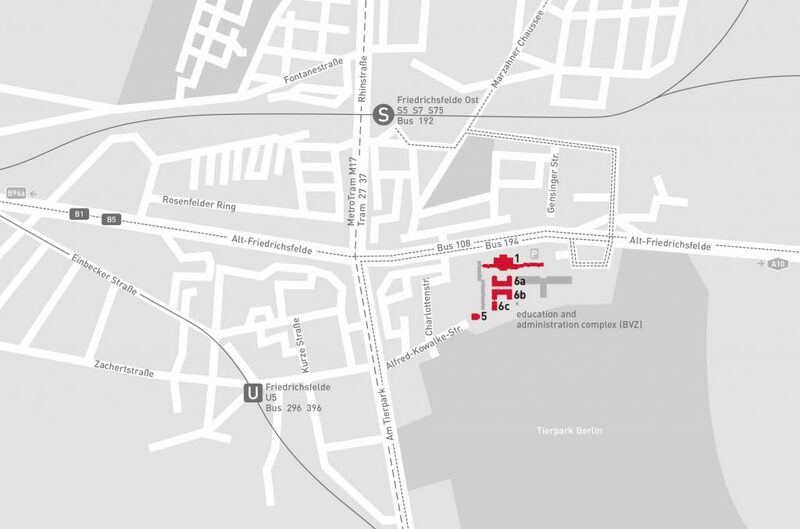 There is also access to parking from Gensinger Strasse (parking charges apply). 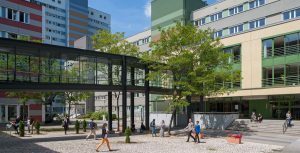 The Lichtenberg Campus is easy to reach by S-Bahn (city railway), U-Bahn (subway), tram or bus. !!! Registration open !!! Program will be available by May 15 !!! Make your hotel reservations now !! !